Target skin at every level! Fotona 2D / 3D / 4D! Skinpossible has treatments that can incite collagen remodeling to tighten and lift the skin, treatments that can smooth out fine lines and wrinkles, treatments that can erase dark spots, and treatments that can restore youthful facial contours. Sometimes a specific treatment to address any of these individual concerns is the best solution. Ultherapy, deep laser resurfacing, and cosmetic injections are what we call “the big guns”! It is amazing what these gold standard procedures can achieve individually or in combination. At other times, perhaps an overall “refresh” is what you need. When the big guns are too much, SmoothLiftin™, Piano™, Frac3™, and SupERficial™ are four treatments we can offer individually or in combination, thanks to the expanded capabilities of our two Fotona Dynamis lasers. Each treatment has its own unique benefits to target superficial, medial and deeper connective structures of the skin. Combined, they provide synergistic, non-invasive solutions for both the exterior facial and interior oral cavity, while simultaneously targeting skin imperfections. The 4D approach stimulates full thickness awakening of collagen, volumization, reduction of wrinkles and pigment, and fine polishing of the skin. A welcome addition to Skinpossible’s artillery of laser solutions, Fotona will leave your face looking rejuvenated, younger, tighter and more vibrant! Treats cheeks and lips inside the mouth! Stimulates collagen from the outside in! Frac3 is truly unique in that it non-invasively creates a self-induced 3-D fractional effect. A Frac3 beam is whole upon delivery to the skin and is fractionated by the skin’s imperfections as it proceeds towards the subcutaneous tissue. A beautiful compliment to Smoothliftin and Piano, Frac3 is a non-ablative fractional treatment that can provide additional skin remodeling benefits. If a few days of social downtime is an option for you, a customized microlaser peel can dramatically improve the appearance of your skin. This light, cold ablation removes surface imperfections, peeling off sun damage and minimizing surface irregularities such as fine lines and pores. This microlaser peel polishes the skin to create a smoother, pearl-like finish and can be done independently or as part of the 4D treatment. Polishes the skin for a smoother finish! Which combination is right for you? The versatility of these treatments and the fact that they can be performed together gives us the ability to customize combinations that can address a wide variety of facial aging concerns. Fotona’s combinations are not capable of delivering the same results as the heavy artillery treatments, but they are wonderful alternatives that can address multiple concerns simultaneously. A little of this, a little of that, and VOILA, your skin is revitalized and you feel amazing. For more information, or to view before and after pictures of treatment results, please visit our website. 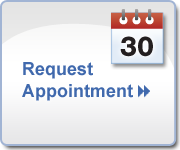 Then call and schedule a time to come and sit down privately with one of our treatment consultants. Skinpossible is easy to get to. Evening and Saturday appointments are available. Consultations are free and so is parking. We want to be your cosmetic clinic, and look forward to meeting you soon! There are other laser clinics so why choose Skinpossible? Because not all treatments work equally well. At Skinpossible we pride ourselves in offering only the very latest in breakthrough technologies. We have more technology than any other clinic in Calgary and all of our technology is tier-one within its class. Our style of consultation is educational. During a consultation, we take the time to thoroughly explain your options and make sure you have all of the information you need to make an informed decision. No pressure. No obligation. Consultations are free and so is parking.